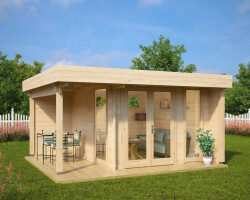 Garden summer houses under 2,5 meters (8′ 2”) high can be placed as close as you want to a boundary without planning permission. 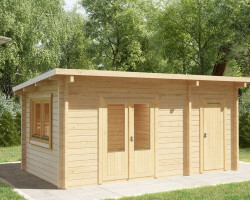 All garden buildings higher than 2,5 meters need to be placed at least 2 meters away from any boundary (e.g., a fence line). 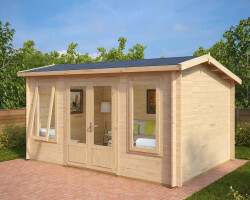 So you end up with a lot of space behind your garden cabin. 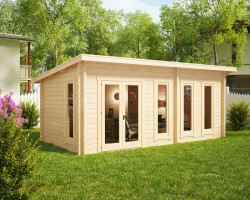 Nearly half of our 200 garden sheds and summer houses are under 2,5 meters high. 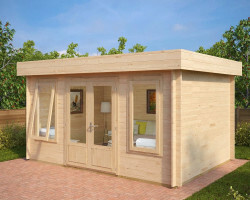 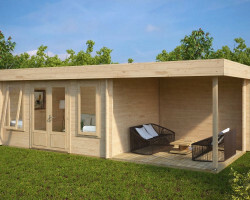 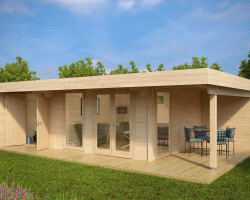 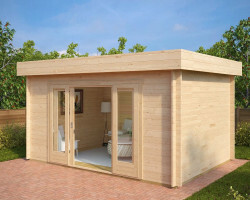 There are few differences between lower and higher garden offices and summer houses. To keep a log cabin’s overall height under 2,5 meters we have to use lower walls and doors. 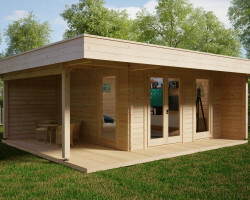 The average door way height of lower garden building is 1,8 to 1,9 meters (5′ 10′ to 6′ 2”). 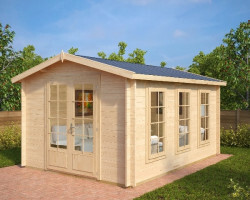 Higher garden buildings have around 2 meters (6′ 6”) high doors. 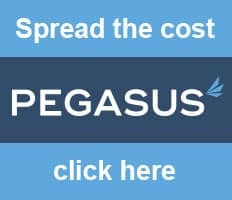 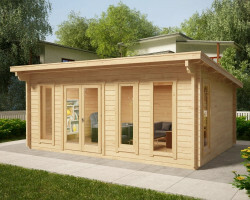 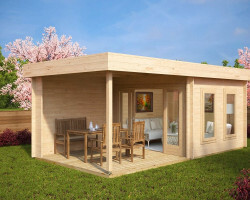 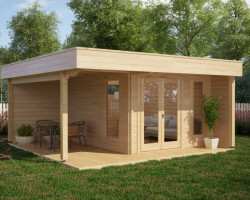 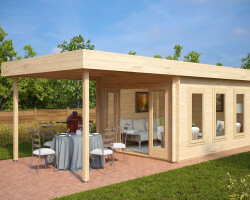 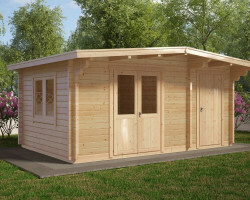 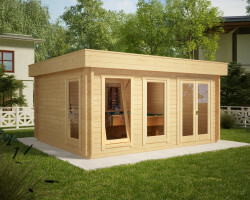 Good thing is that you can set up your garden summer house or a garden office without spending time on planning permission just following few very simple rules. 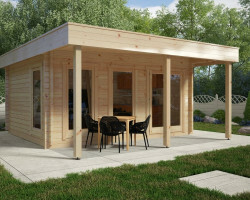 (Read more in the Planning Permission guide). 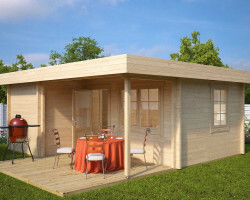 Lower garden sheds and wooden cabins are even more cozy inside and cute from the outside. 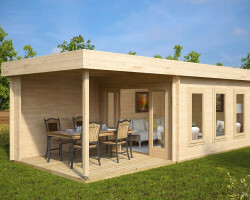 These log cabins are quick and easy to install. 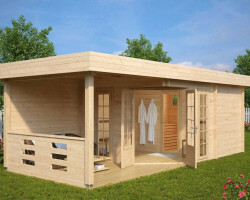 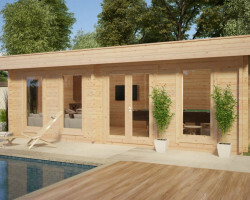 Most of our garden summer houses under 2,5 m are one or two-day DIY projects for two persons. 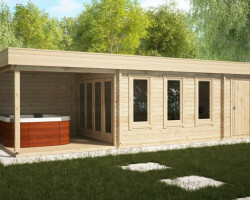 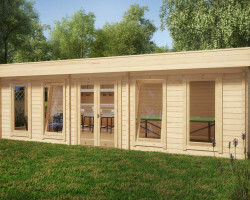 Our flat pack log cabins are the easiest way to build your own summer house and save your precious time and money!